Welcome to another book tour! Two teens are forced to make some very grown-up decisions when one of them is diagnosed with terminal cancer, twisting them into an unpredictable nightmare. Best friends since toddlerhood, Samantha and Jesse grapple with the realization that they are actually in love. What now? Beautifully written while handling a very heavy topic, Castrovilla addresses the universal question: In a world where the worst can strike at any time, how can we ever feel safe? Selene Castrovilla is an award-winning teen and children’s author who believes that through all trends, humanity remains at the core of literature. 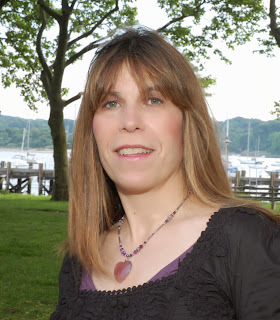 She is the author of Saved By the Music and The Girl Next Door, teen novels originally published by WestSide Books and now available digitally through ASD Publishing. Her third children’s book with Calkins Creek Books, Revolutionary Friends, was released in April. She is also a contributing author to UncommonYA. Selene holds an MFA in creative writing from New School University and a BA in English from New York University. She lives on Long Island with her two sons. Visit her website www.SeleneCastrovilla.com for book excerpts and more information! SELENE CASTROVILLA TEAMS UP WITH THE AVM FOUNDATION!! Selene is pleased to team with the Anthony V. Mannino Foundation helping young adults in their fight against cancer. She will donate $1 for each book ordered during THE GIRL NEXT DOOR's Blog Tour! 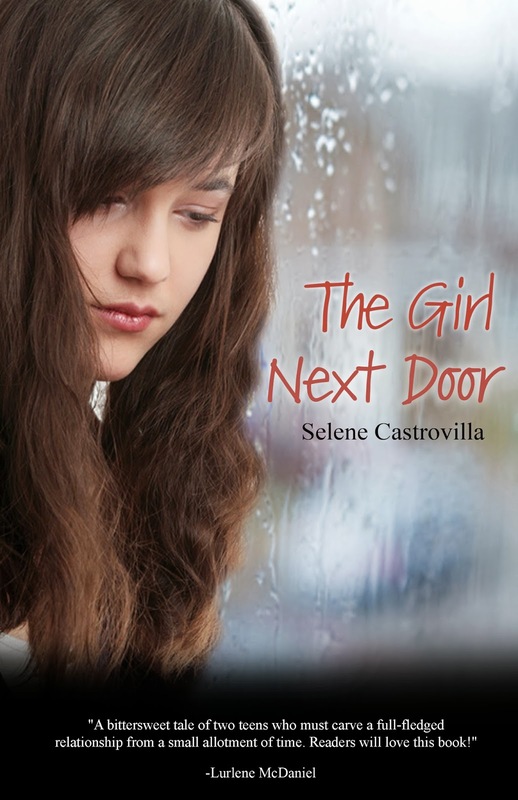 Selene will send a free autographed copy of THE GIRL NEXT DOOR to anyone who donates $25 or more to the foundation. For your purchase to count and/or to show proof of donation, just send a screenshot or receipt of your order or donation, along with your shipping address if necessary, through "Drop me a line" in the "Latest News" section of her website, selenecastrovilla.com. The Mission of The Anthony V. Mannino Foundation is to financially assist young adults in the age group of 18-26 while they are undergoing their cancer treatment. We also want to help development support programs to aid this unique age group, with their special needs, as they battle cancer. We found that Anthony's age group of 18 plus, doesn't have the emotional or financial support that other age groups do. We are also aware of the unique situations that this age group faces and want to help those adolescents and their families. The storyline was really good. It was meaningful and tugged at your heartstrings. It contains cancer, romance, friendship and loss. The cover to this book makes you feel sad because the girl looks down. The font on the cover is also really clear. When reading the synopsis, you know it's going to be a sad story. I was intrigued, and was hoping for it to be a beautiful novel. Glad I was right. There aren't that many characters in the book, so this saved on confusion, however I thought the character development on a whole was fantastic. Samantha - Samantha is a very like-able character. You can see she really cares for Jesse, and she gives up a lot in her life to look after him. Jesse - Jesse is adorable and cares for Samantha. Even though it has taken him a while to realise his true feelings, you can see he is a very into caring for everyone close to him. I completely sympathise with him as he doesn't deserve to be in that position whatsoever. Jesse's mum - You can tell Jesse's mum isn't really a born mother. It takes her a while to warm up and get into it, but you can tell she really cares for her son Jesse. Samantha's mum - I think Sam's mum secretly knew Jesse and Sam would develop feelings, as she seems prepared for it. She is a lovable person and I would personally love to her her as my mum. The story is written in first person and the chapters are short. I like books with short chapters. This book worked well having it written in first person. I loved hearing the story from Sam's point of view. I wish I could just see from Jesse's vision, but to be honest, it would contain a lot of pain! The writing was beautifully written. I was absolutely hooked onto every word and ddn't want the book to end. The Girl Next Door is a very relevant title because (as Sam says near the beginning) she is the girl that lives next door to Jesse. I think this was a good title because this was all about the relationship between Sam and Jesse, their struggles and how they handle everything. When reading the beginning, I felt sympathy towards the characters and I really wanted to continue with the story as I connected with the characters straight away. The ending had me in tears. It left me in that place where you ask yourself what happened, but deep down inside you know. It really made you feel appreciative towards life. Overall I gave this book five stars because I absolutely loved it. It was a beautiful story with amazing characters, and I was emotionally attached. 1: What age did you decide you wanted to be a writer? I always knew I was a writer. It wasn’t a decision to become one – I was one. The first time I held a pencil I knew I was meant to use it. I didn’t know what I was going to do with it, but it felt so right. It was reassuring. 2: What/who inspired you to become an author? There is nothing more inspiring than a great book. That said – I think reading wonderful books delayed my becoming an author, because they intimidated me. They were so good! How could I ever write like that? I didn’t understand that the words hadn’t come out perfectly – that there had been revision. I first got the courage to try and be published from one of my writing teachers at The New School: Jackie Woodson. We were reading her books If You Come Softly, and I asked if all the setting descriptions had just come pouring out. She said, “Oh no, I added those later.” That’s when I realized I could handle writing a novel. If I had encountered a live writer sooner I might’ve tried getting published years earlier. 3: Are you very organised when it comes to planning out a story? In a way. I always know the beginning and the end. Then I forge a path from one to the other. I jot notes for key scenes, and I try to write the book linearly. But if a scene later on in the book is calling out to be addressed, I must answer. word leads to the next. I don’t go for grandiose planning. That would zap all my energy before I began. 4: What's a typical working day like for you? When and where do you write? Do you set a daily writing goal? I long to be one of those writers who sits for hours typing, then breaks and has a normal life. I’m not good at juggling, or living in two worlds. So I try and get a lot of writing done when I go to retreats, and first thing in the morning – before the madness begins. I have two sons and a house that was devastated in Hurricane Sandy, so there is much to attend to in my life besides writing. I have learned to forgive myself if I don’t get much writing done in a day. Anne Lamott wrote a great book on the craft called Bird by Bird. She said you should write enough to fit into a one-inch picture frame each day. So that’s what I aim to do. I write on my deck as often as possible, facing the inlet I live on. To be among nature is the best place to write, in my opinion. I have big picture windows in my office and bedroom, so when I have to stay inside I still have a view. 5: What was the hardest part to write in the book? The whole thing was pretty gut wrenching. I guess the build-up toward the end, which I don’t want to give away. 6: Which character did you love developing the most? beginning, but there’s so much more to her than meets to eye. Sam was pretty rewarding, too. How she learns to take care of herself, and deal with the world. 7: How did you come up with the story 'The Girl Next Door'? 8: What's your favourite flavour crisps? I don’t really eat them, but I go for barbeque or spicy flavors. 9: If you could have dinner with one person dead or alive, who would that be and why? JD Salinger. God, I love him. I just want to hang out with him. We don’t even have to speak. 10: If you were writing a book about your life, what would the title be? 11: What do you like to do when you're not writing? Spend time with my sons. Veg out with a cup of coffee on my deck, or sitting in my new velvet purple chair in my kitchen. Sleep. 12: Finally, do you have any hidden talents? I tend to remember random things and can recall them at needed moments. I’m especially good at accurately describing events in history – important since I write about it in my children’s books. I can recite the “Tomorrow and tomorrow and tomorrow” soliloquy from Macbeth. I know a decent amount of the prologue from The Canterbury Tales in Middle English. I can also sing the preamble to the Constitution, thanks to School House Rock when I was a kid (sometimes TV is educational.) I make a mean cup of coffee and I’m known for making people laugh. I know a lot of quotes, and am adept at applying them to life. I can flare my nostrils really well. Grand prize is a Kindle Fire + THE GIRL NEXT DOOR ebook (US only), and 10 second prize winners will receive an ebook copy of THE GIRL NEXT DOOR (International). Thank you so much to Jennifer for letting me participate in this blog tour! Thank you so much for being part of Selene's blog tour! I'm so glad you loved THE GIRL NEXT DOOR as much as I did. Great interview!